I've been lurking here and decided to register once I picked up my new bus. 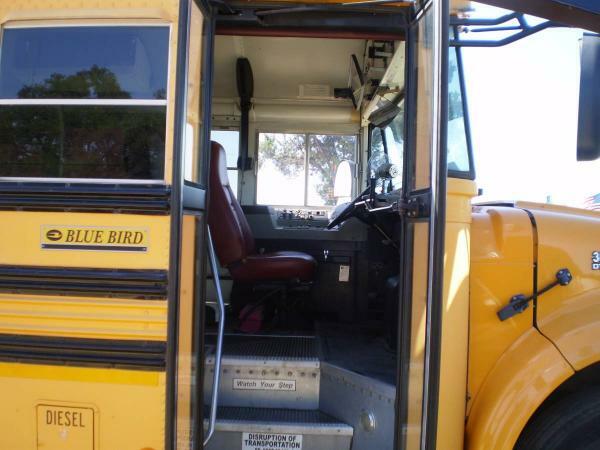 I spent the whole day checking out a school bus in Lampasas, Texas. It was a deal I just couldn't resist. It's a 2003, 3800 International DT466E; the chassis has 120,000 miles on it. However, everything under the hood is practically brand new - a new engine was installed less than 10K miles ago. New radiator, tinted windows, new turbo and inter-cooler, with twin AC compressors, new batteries, new tires all around..etc. No dripping leaks whatsoever. It has placements internally for four wheelchairs with the aluminum slide tracks. This is a fresh bus, no damage or modifications have been done to it, yet. The last pic above was right after I paid for it and was ready to drive it home. Excellent engine, brakes, transmission, and steering systems. Thanks to skoolie.net, I was able to download and read the owner's/repair manual lastnight to get a quick refresher, to familiarize myself with the bus' mechanical systems and components before buying my bus today. When I arrived to look at the bus, it didn't have any batteries installed and the bus had sat there for over a month. I took the opportunity to assist the dealer with installing a new pair of group 31 batteries after we sourced them at autozone. Bus keys in his pocket, we mounted the batteries, upon hooking up the last ground terminal, I noticed there was no arcing in the connection. This is a good indicator that there's no parasitic drain on the electrical system. Anyhow, the bus fired right up, sounded smooth, no hesitation, and so we took it for a 10 mile test drive. 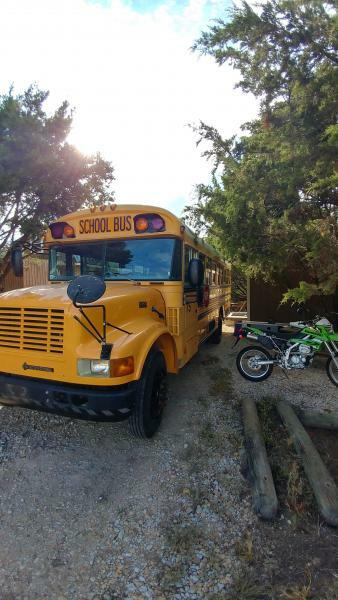 The bus is equipped with LED, 4-way strobe & stop lights, air-ride suspension, pneumatic brakes, an ice-cold air conditioning system X2, a functional cruise control and overdrive, six speed Allison transmission which tops out between 65-70 mph. 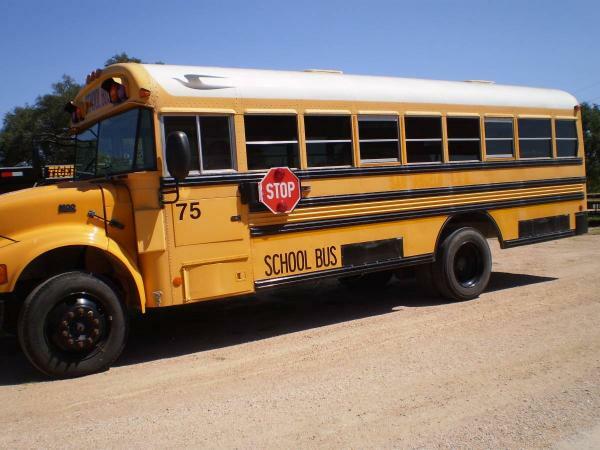 A little info about me - I am a retired heavy equipment mechanic for the federal government, and used to overhaul engines on various industrial equipment, including school busses. So if you need technical assistance, I'll do my best to try and help anyone out. nice rig!!! looks like a DT466E? which transmission did you get? I didnt see the shifter to see..
one of my busses came from houston last year.. seems texas is a great place to get busses!. Sweet Ride. 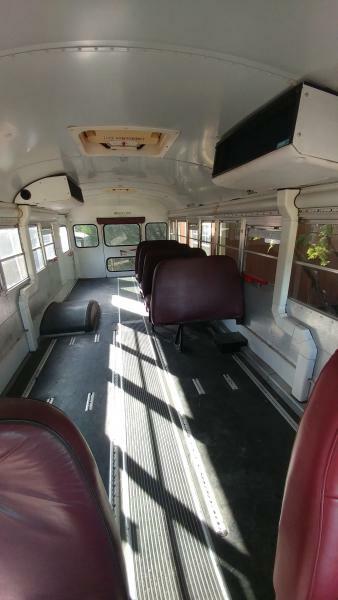 I'm looking for a similar bus for daily driver. 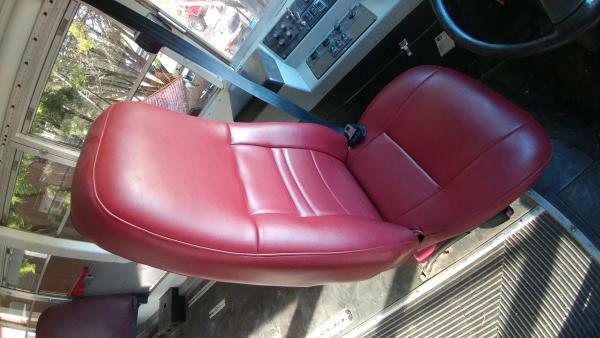 Paying a little extra upfront for a clean bus is a good investment. Them fancy red seats.... Corinthian Leather, I presume? Thanks! I'm not sure of the transmission model, but I could check on it at first light. lol..you got that right. I couldn't imagine having a rust bucket. I prefer to drive it than to overhaul one for weeks or months on end. Here's a video with my bus engine idling tonight with all the outside lights & strobes activated. You won't need a generator with that monster alternator !! Bus sounds great! Most of those red flashers are going to have to go away, unfortunately. Think of it as an opportunity to install some creative outside camp lighting. That is one nice looking Rig!!!!! You will have a ton of fun fixin it up.